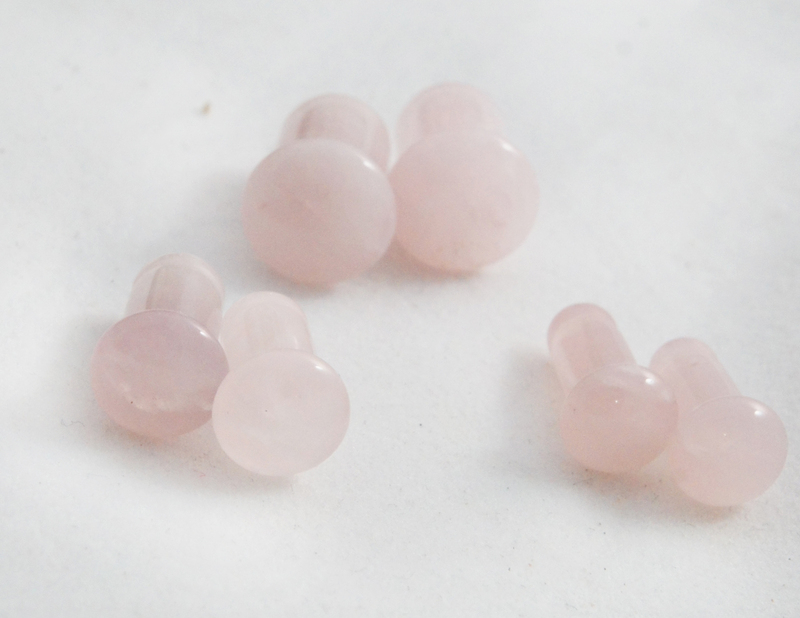 Rose quartz, a common coloration of quartz, is known to have a pale pink to rose red coloration due to small amounts of titanium, iron or manganese. This type of quartz can also exhibit diasterism, which is when a stone shows an optical phenomenon from tiny fibers in the crystal that creates a shape resembling a reflective star shape when lit from behind. 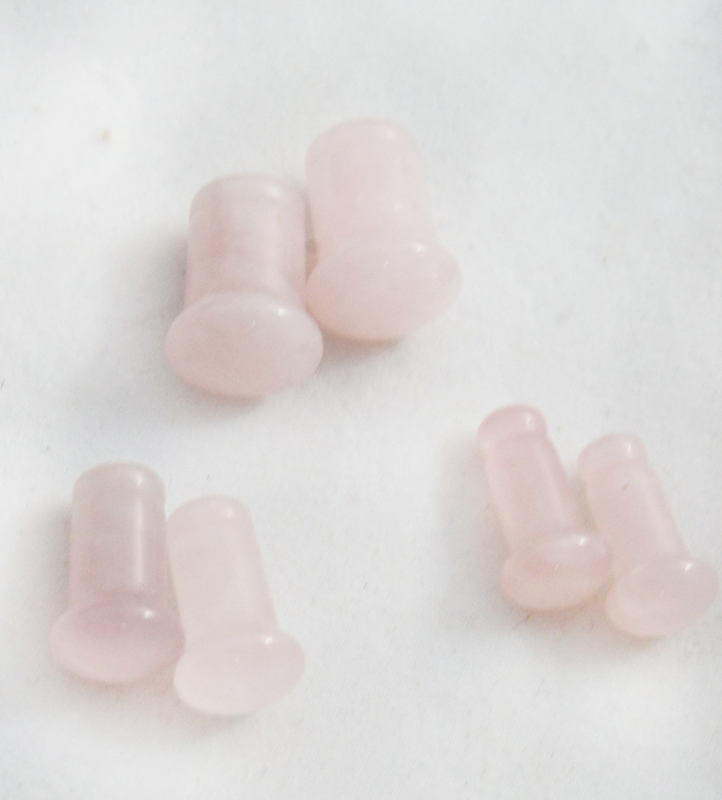 These solid quartz gemstone plugs are single flared plugs that come in several gauge sizes. 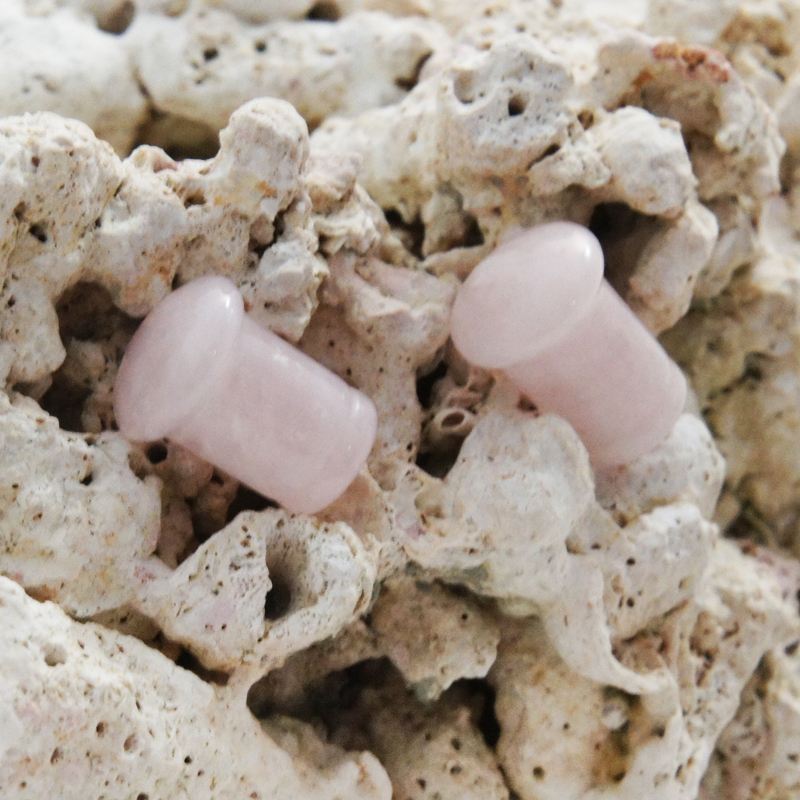 NOTE: Item is sold as a PAIR of plugs.